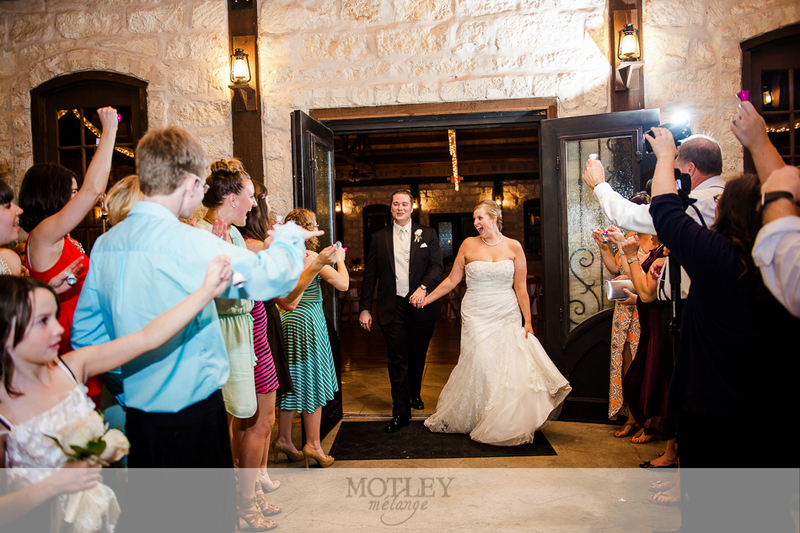 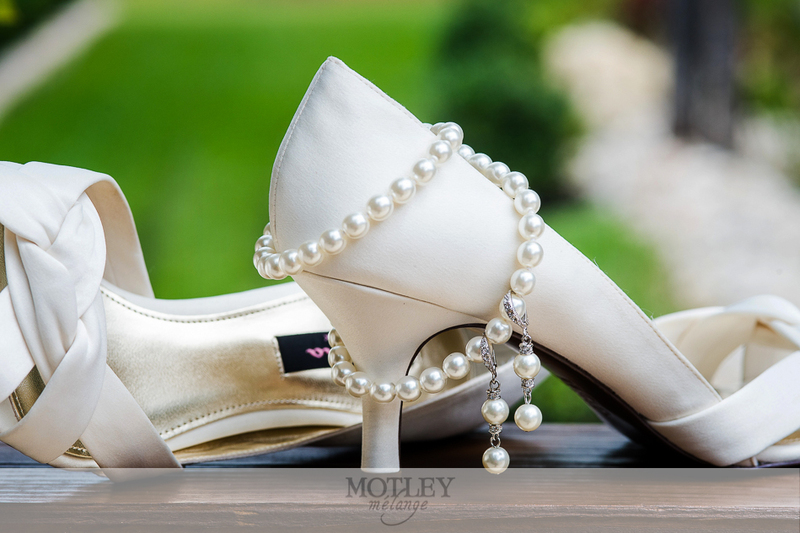 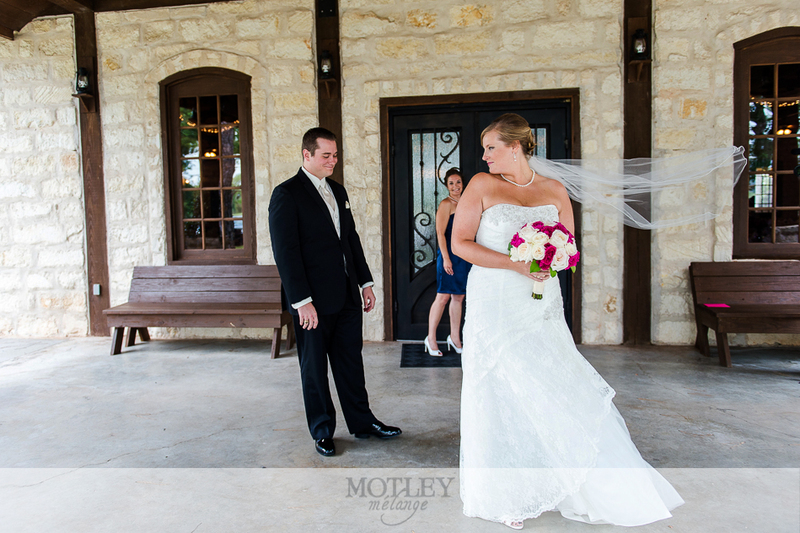 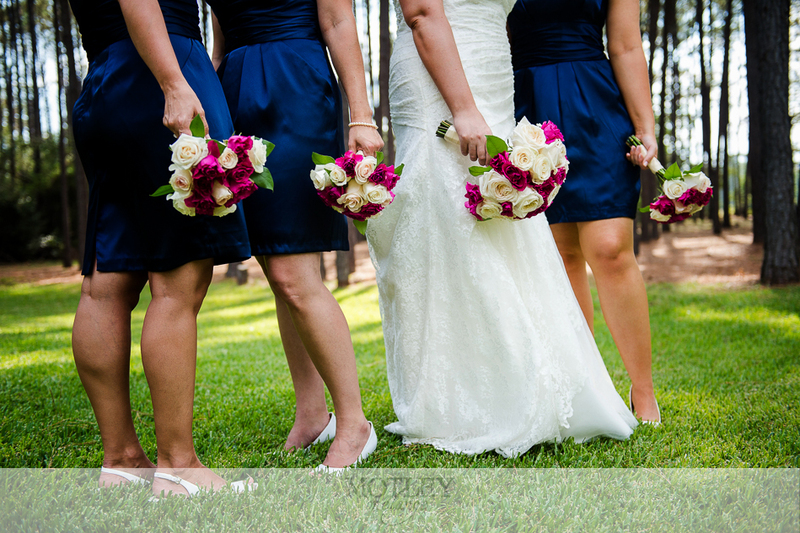 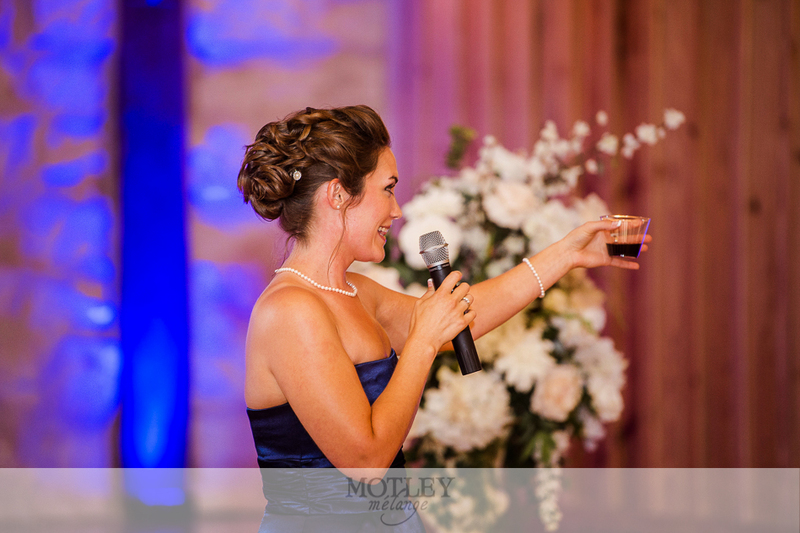 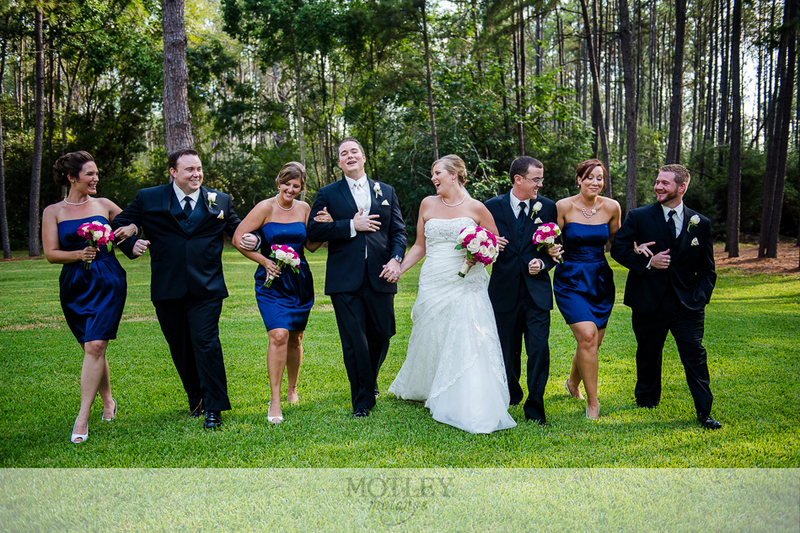 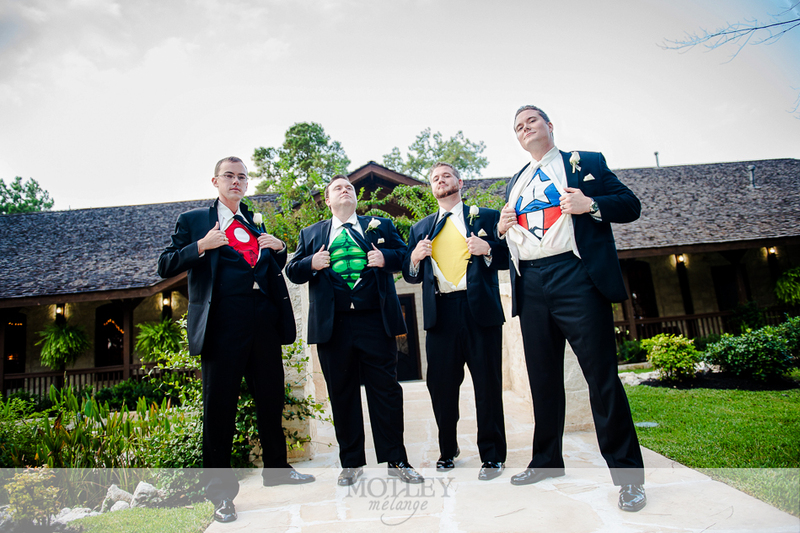 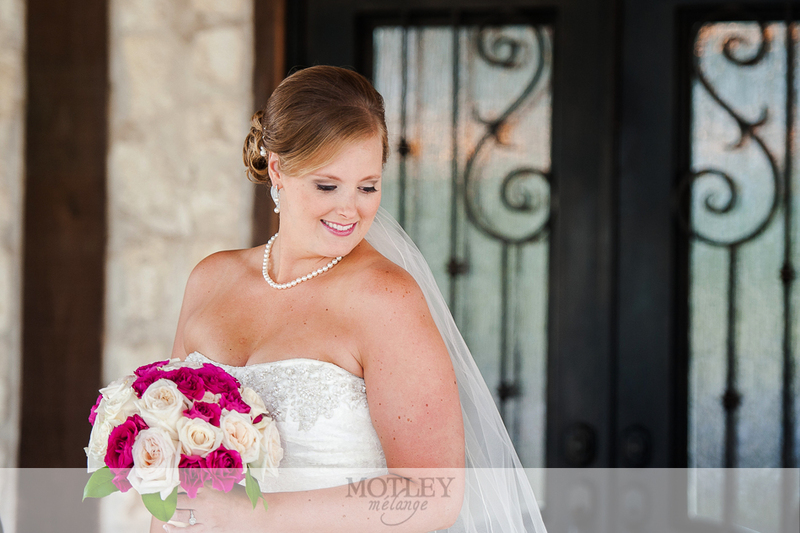 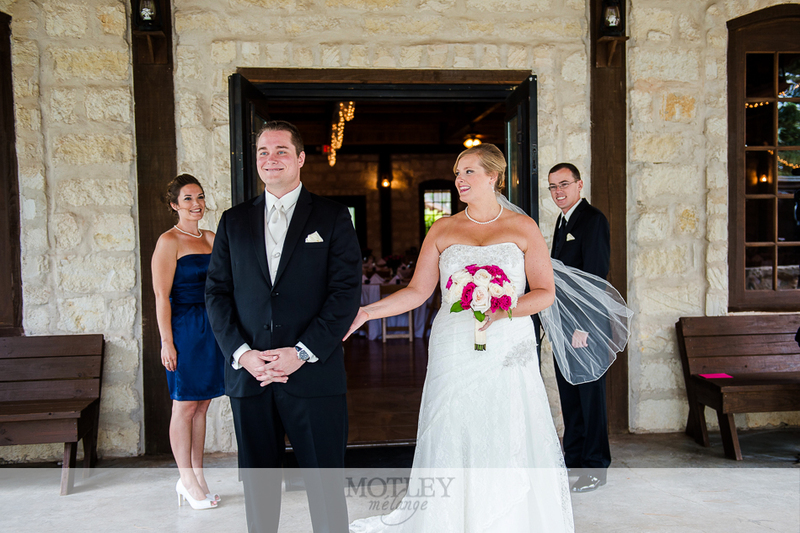 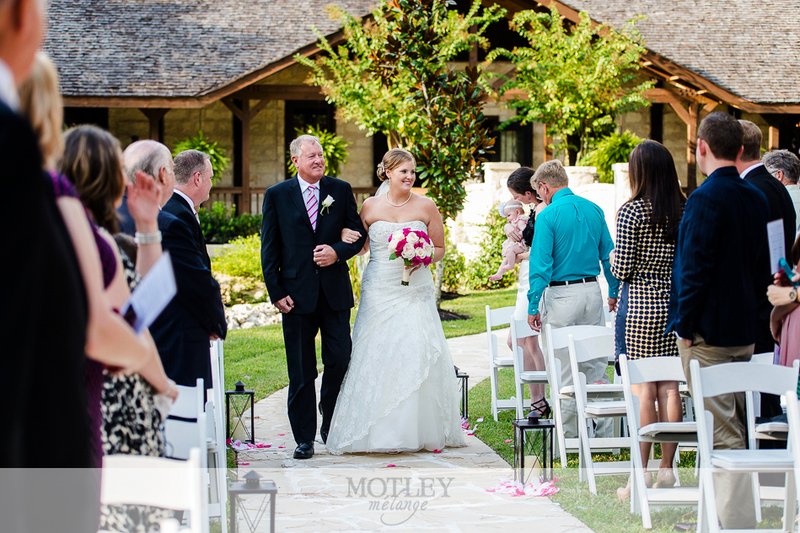 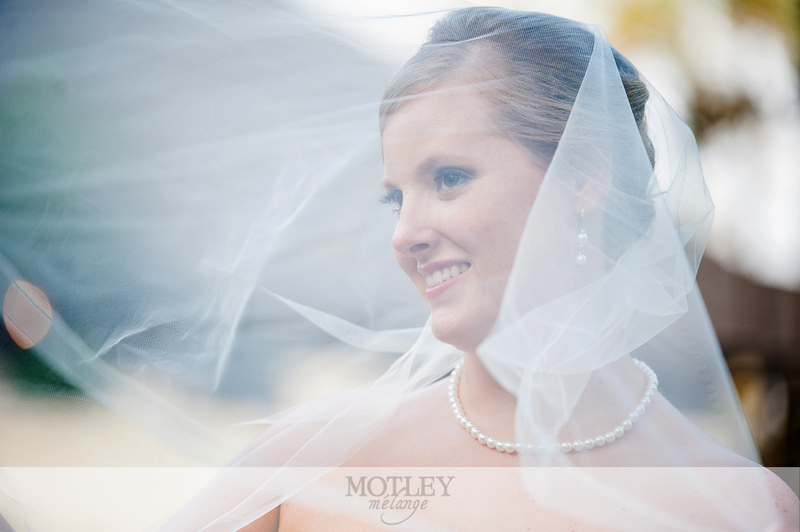 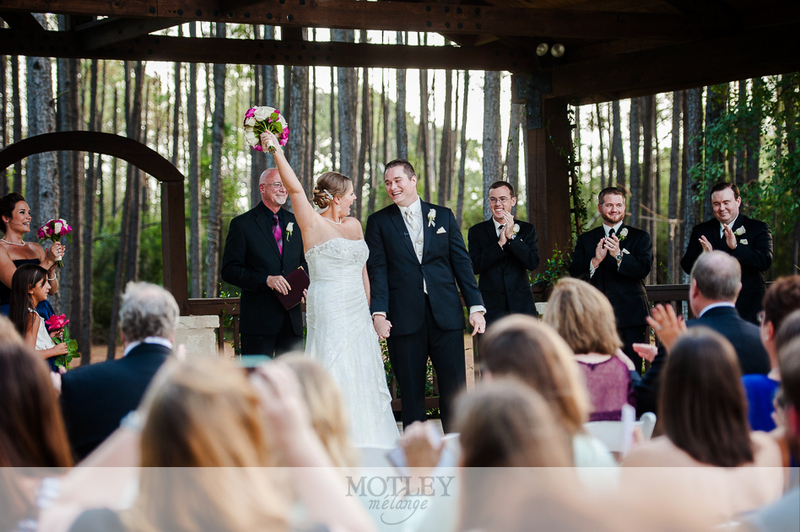 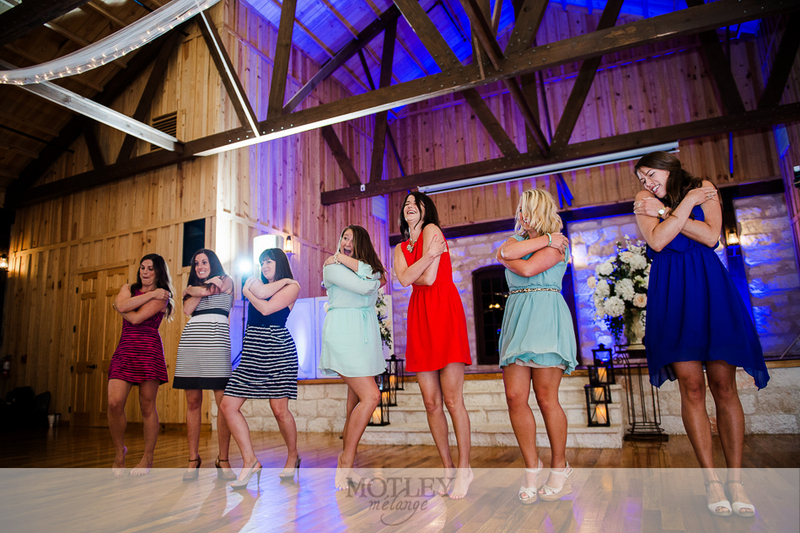 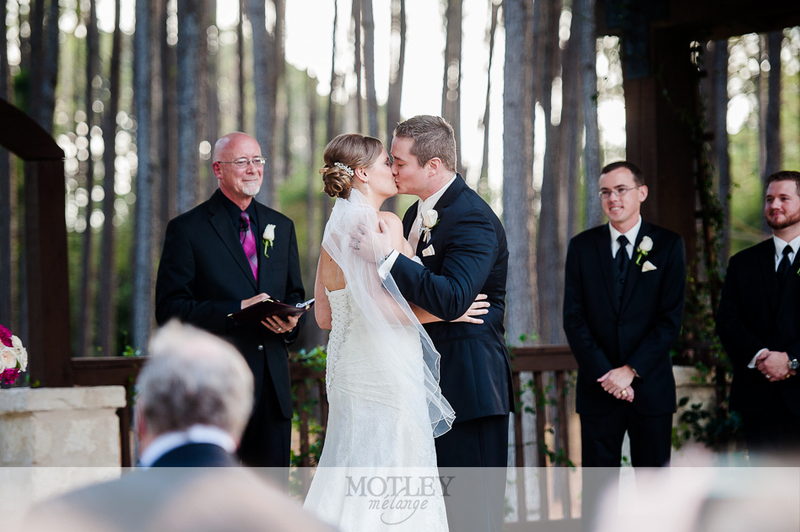 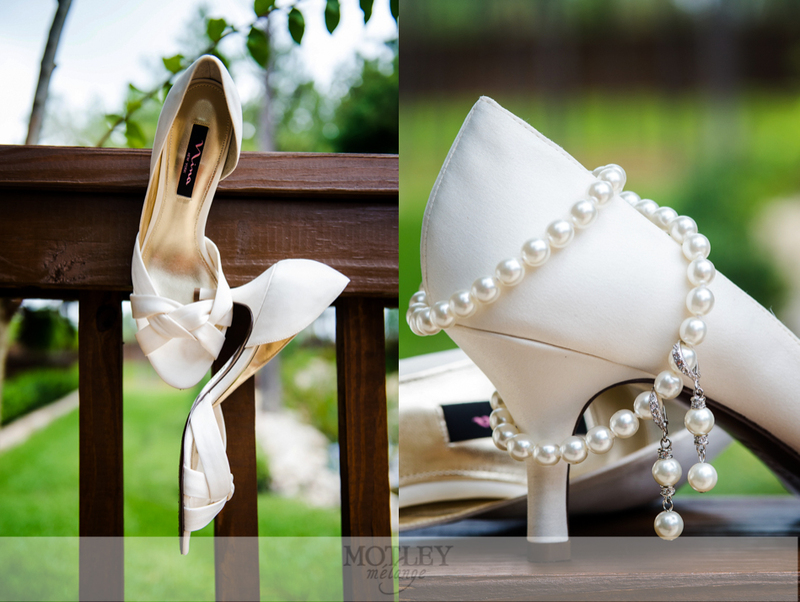 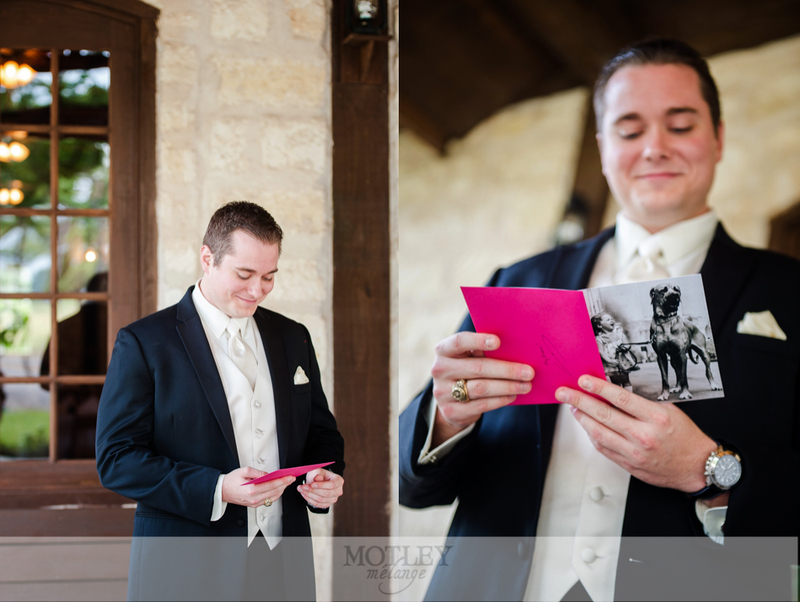 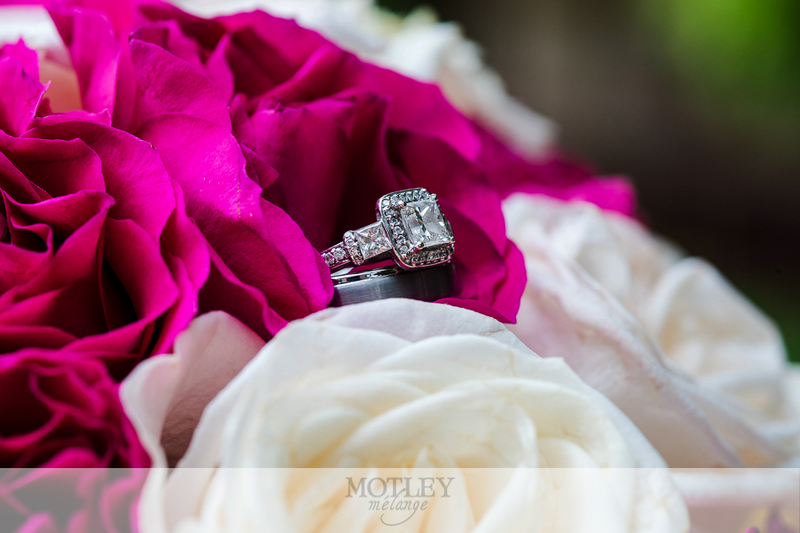 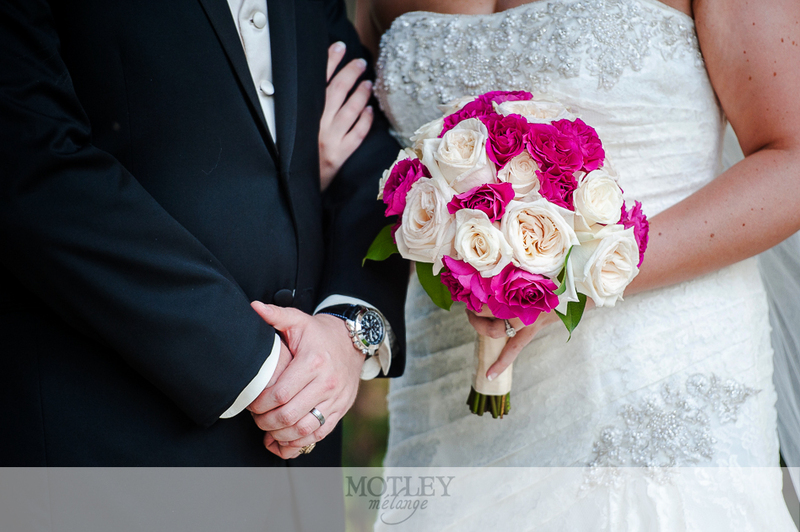 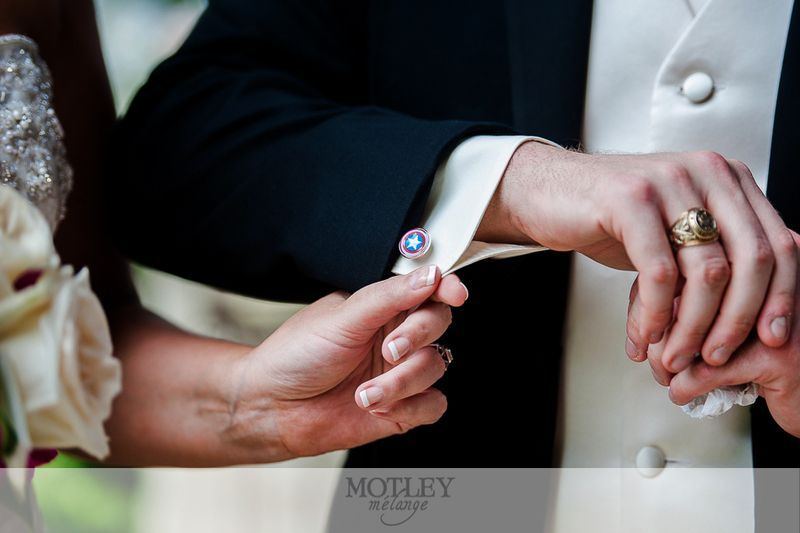 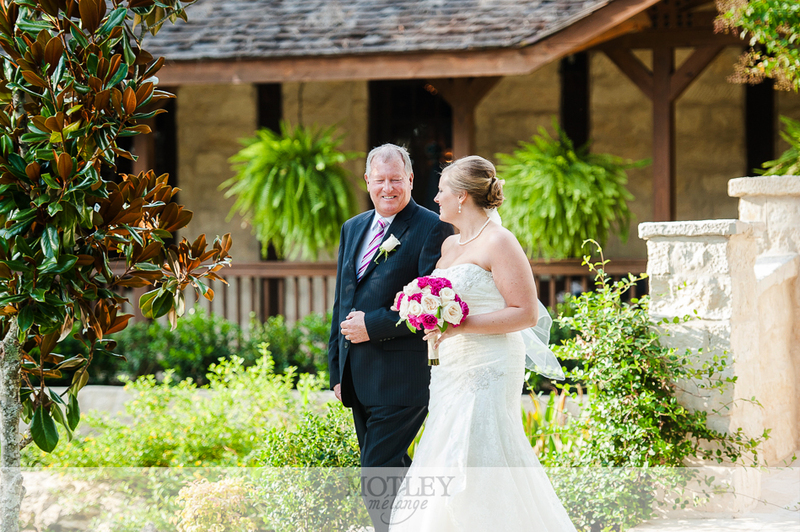 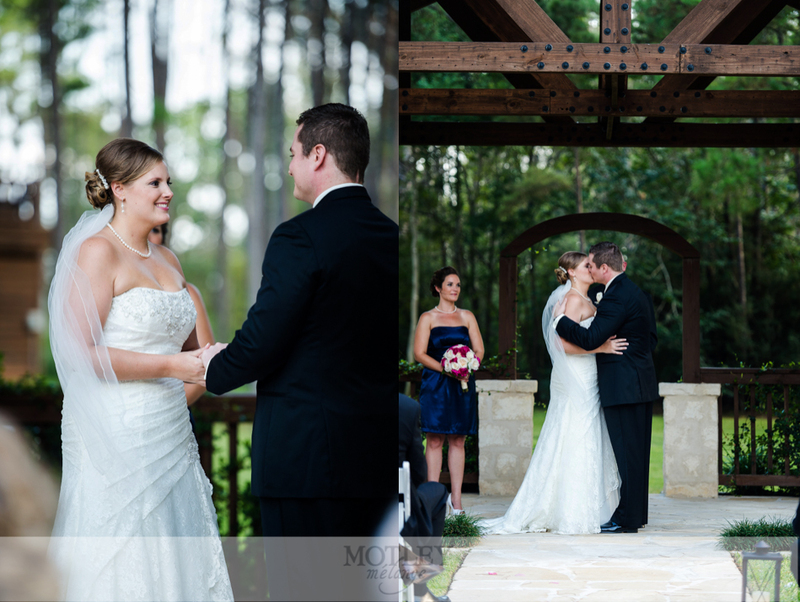 Houston based wedding photographer documenting modern elegance and glamour at destinations local and worldwide. 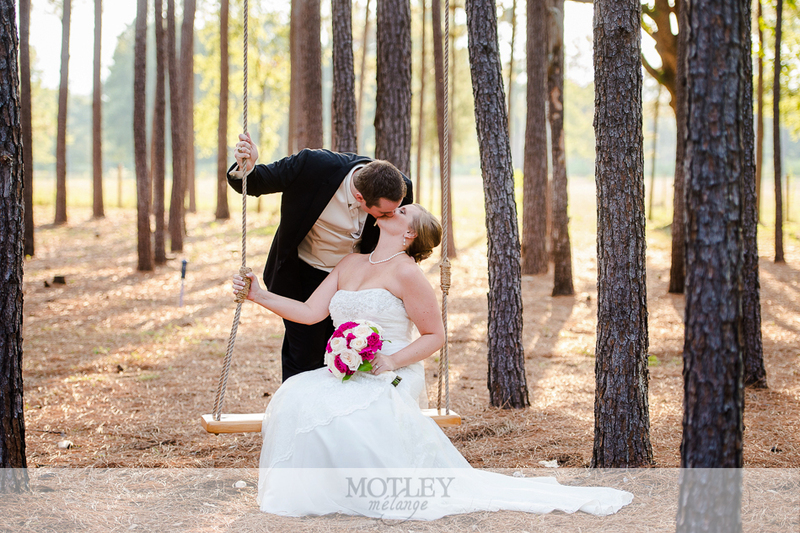 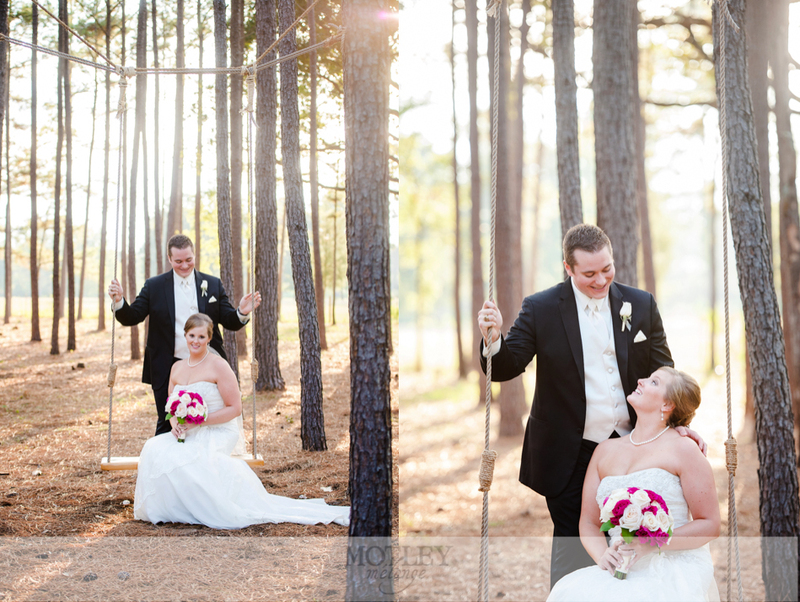 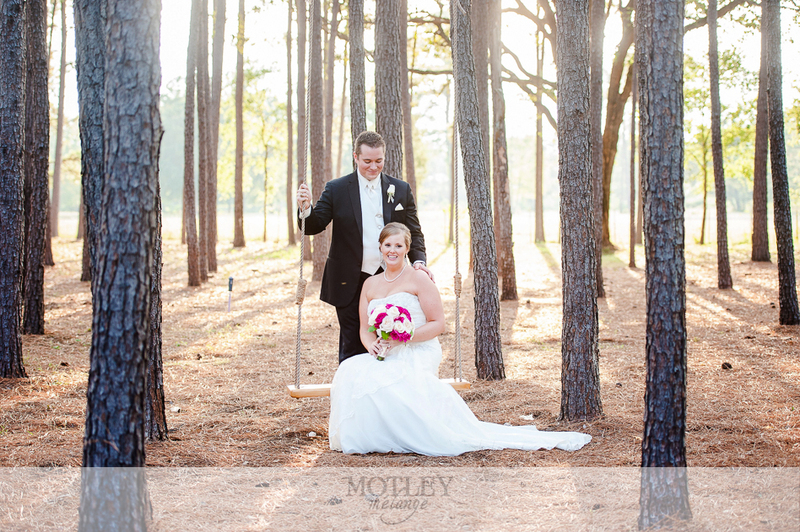 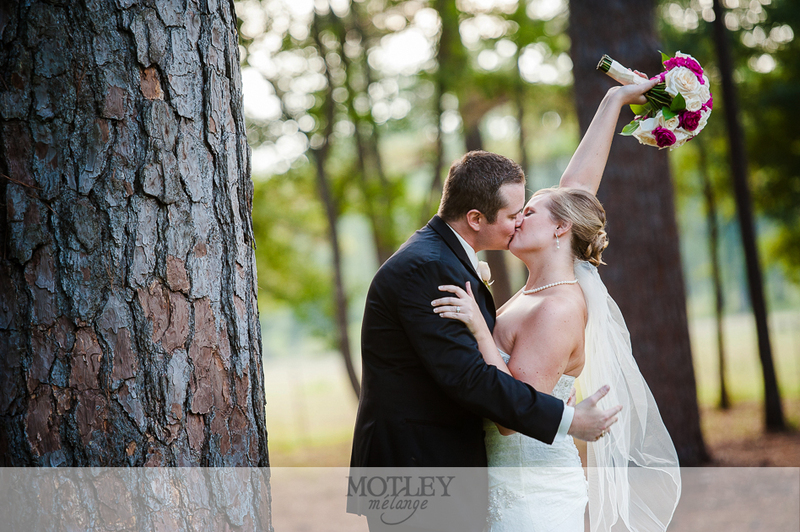 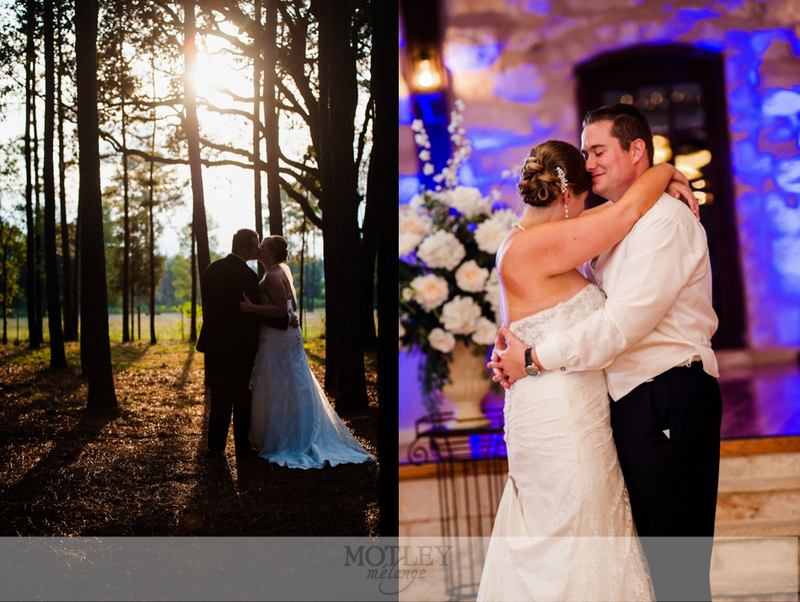 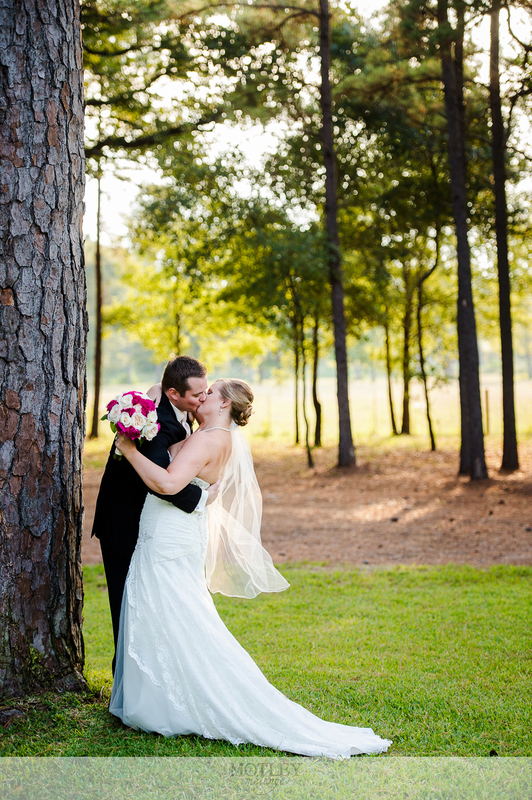 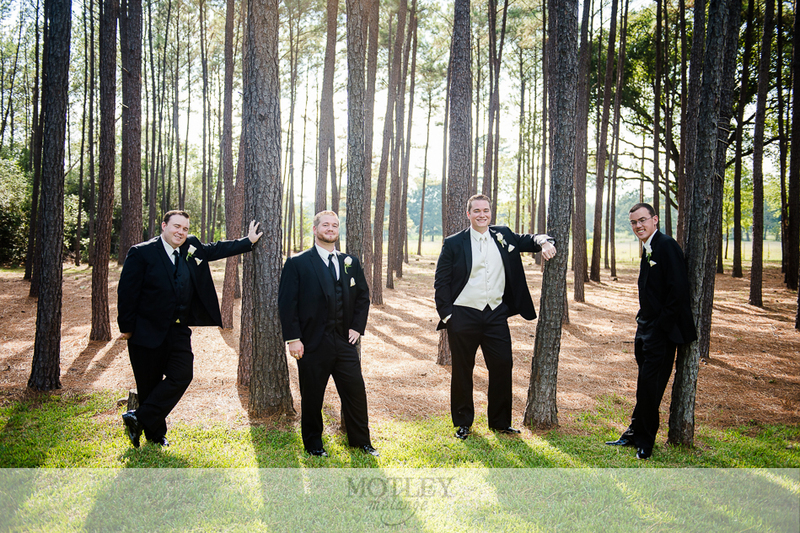 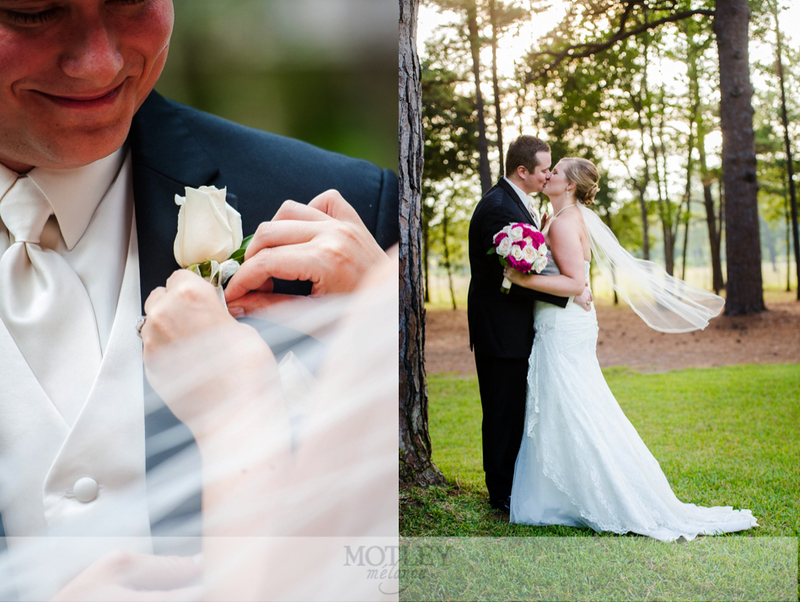 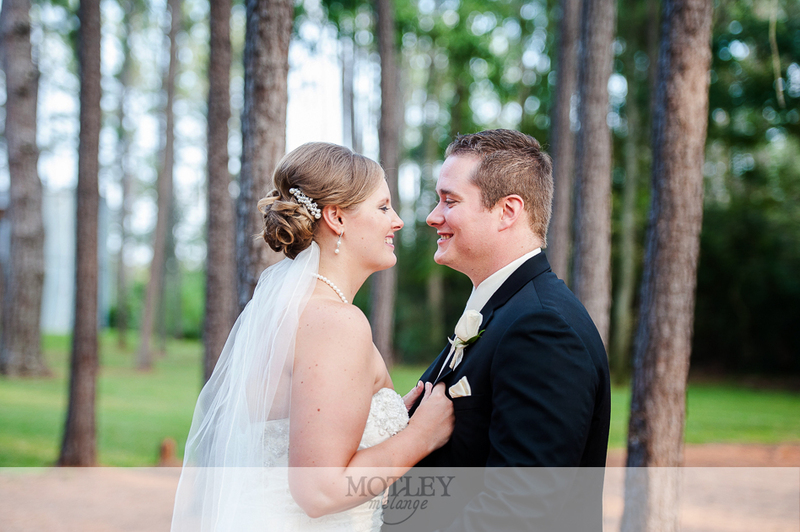 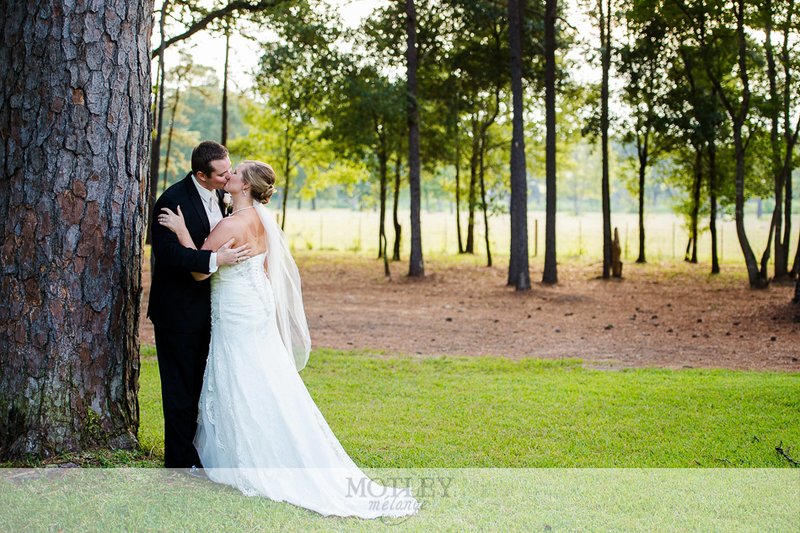 Houston Wedding Photographer: A Crystal Springs wedding with the fall sunset glowing through the forest of pine trees is a stunning sight. 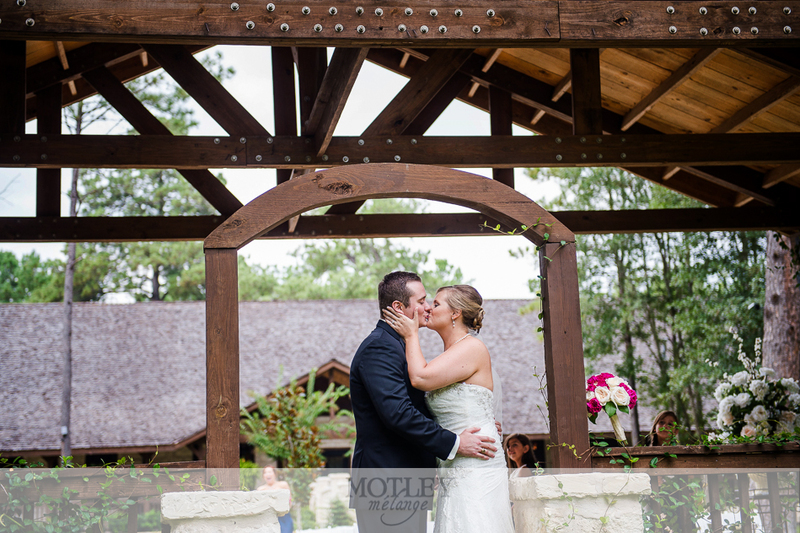 We are no strangers to this fabulous rustic venue and we were so happy to be invited to photograph Chelsea and Jordan’s big day there! 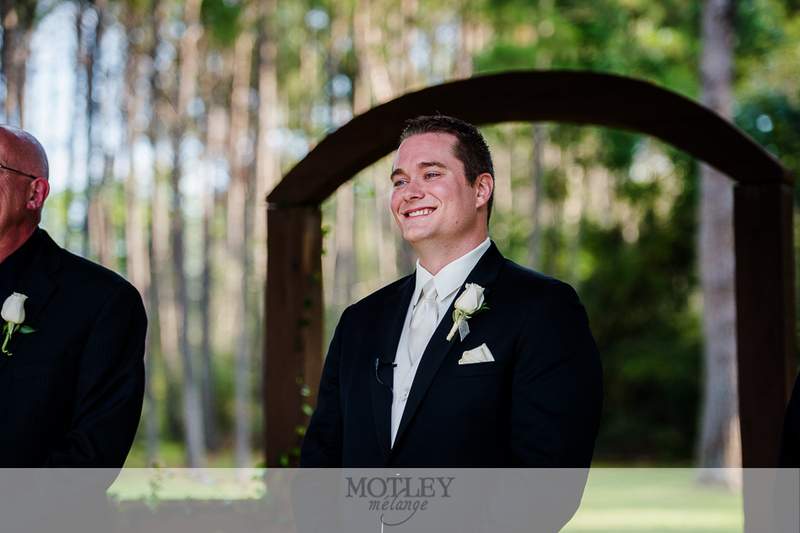 These two were such an enthusiastic, humorous duo. 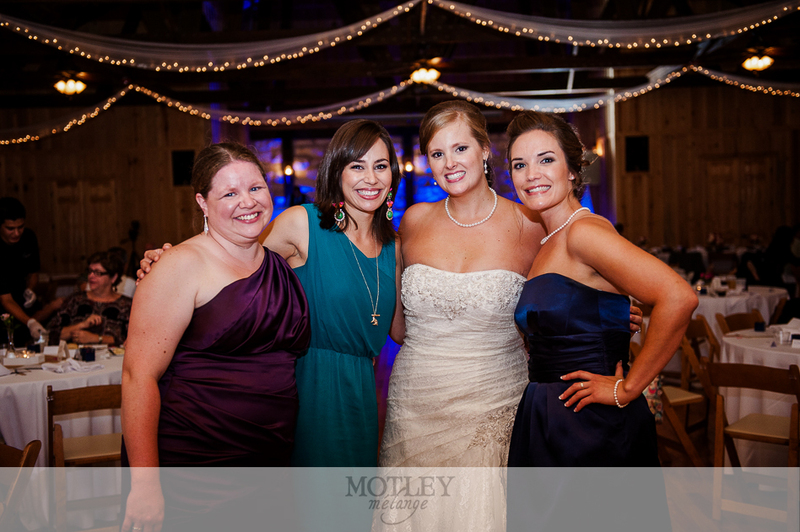 From the first time we met, we all hit it off! 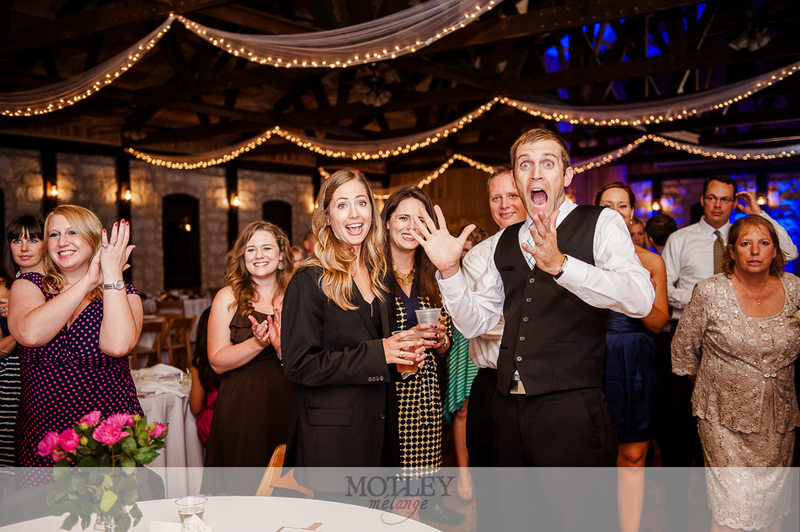 I’d like to thank our Great Dane, Miley, for closing this deal for the Motley team! 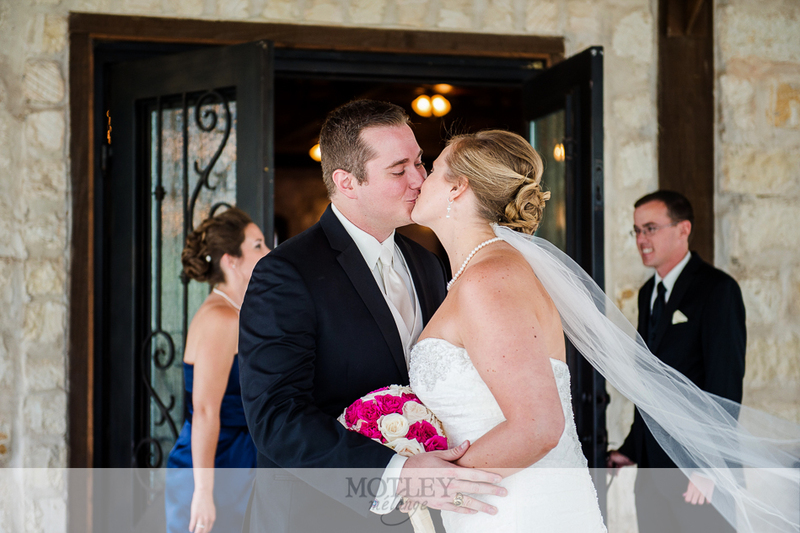 Finding other die-hard dog lovers is always a treat! 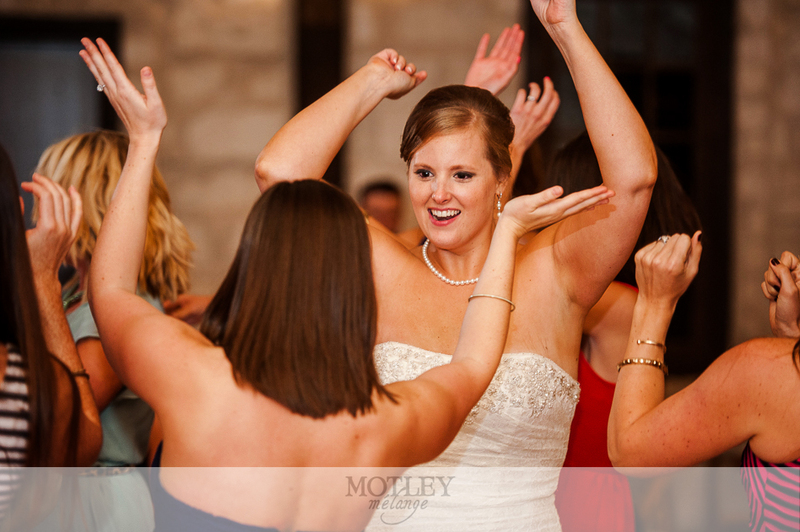 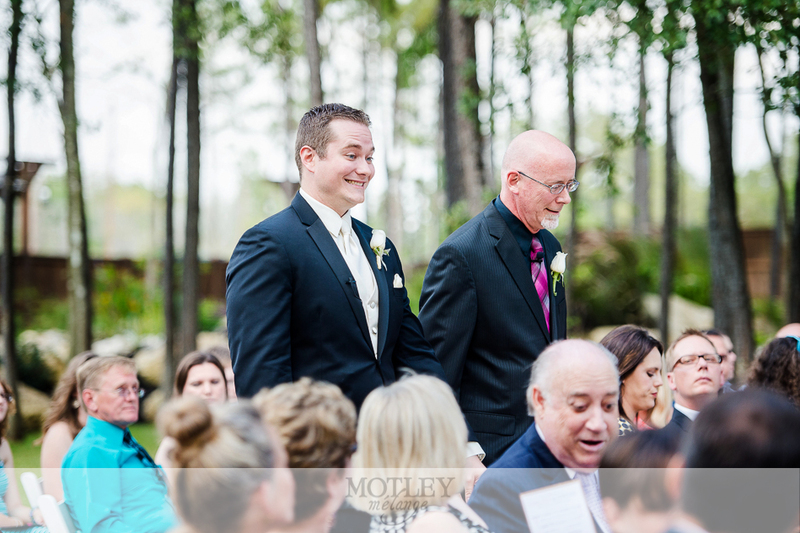 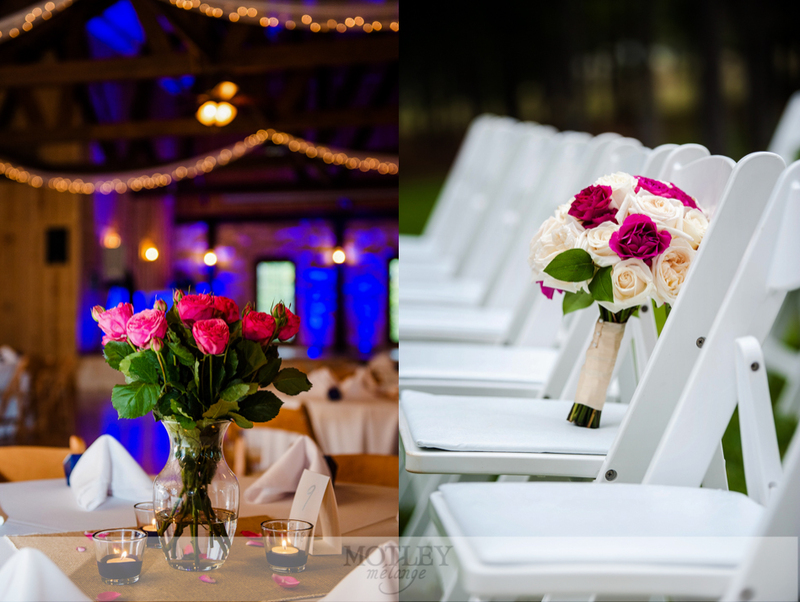 I love to point out some of my favorite parts of the wedding day in these posts and I have to take my hat off to Francisco with Elegante Entertainment! 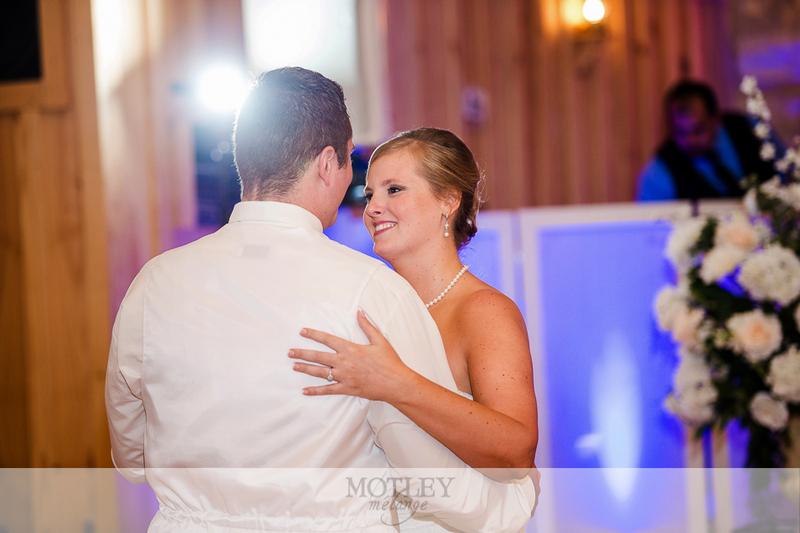 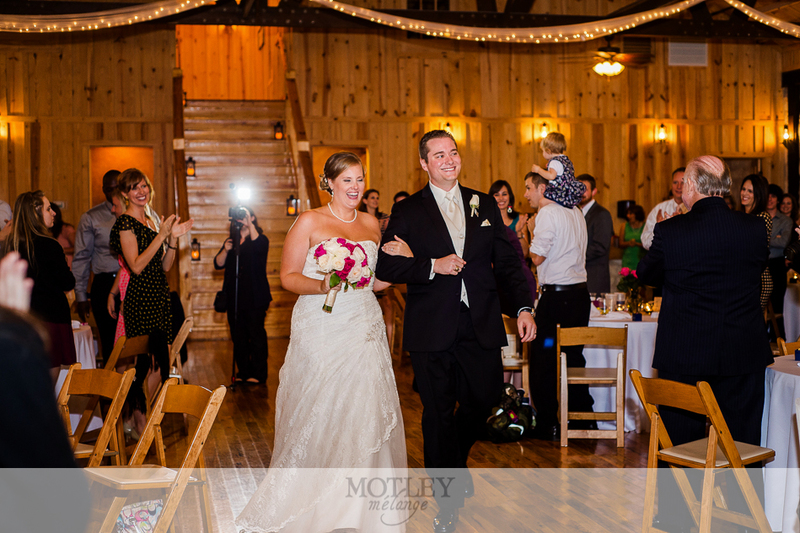 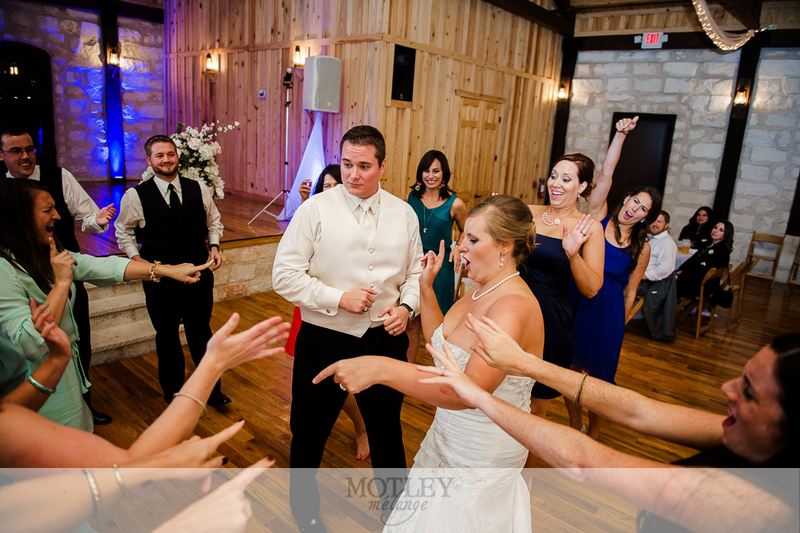 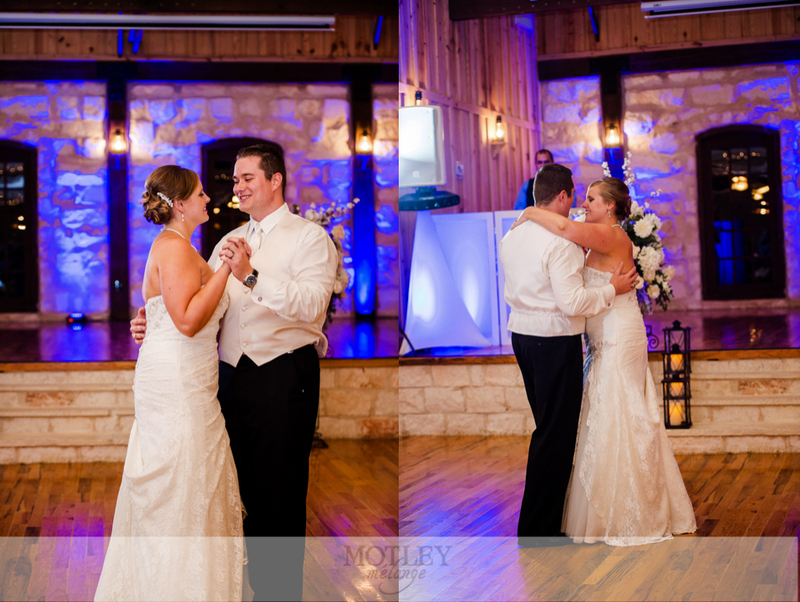 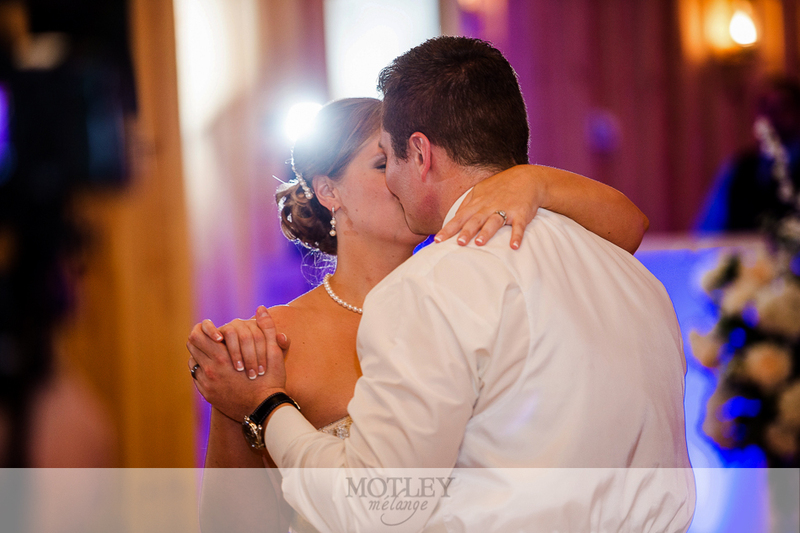 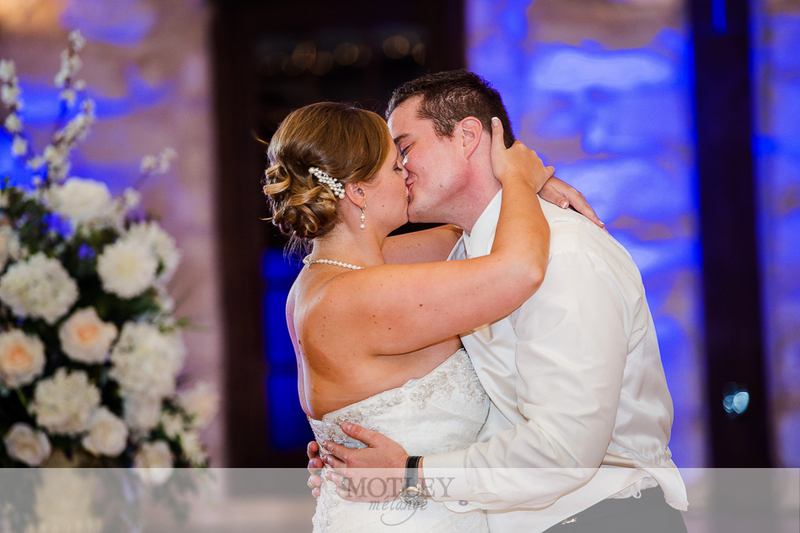 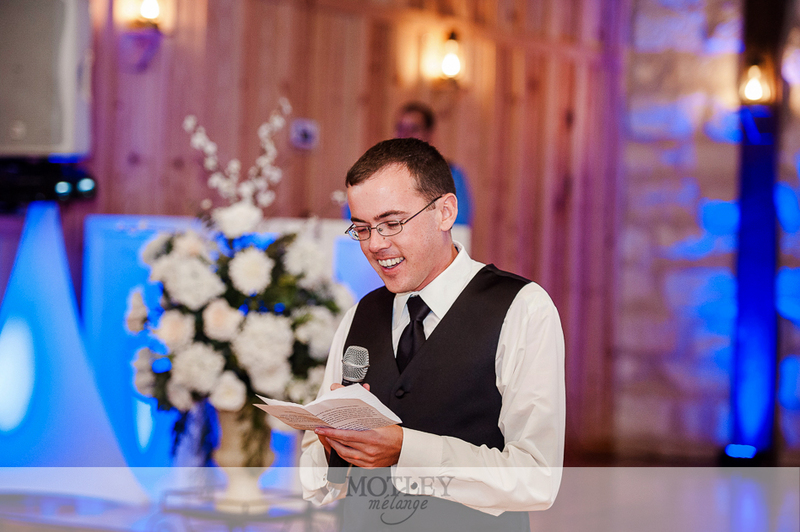 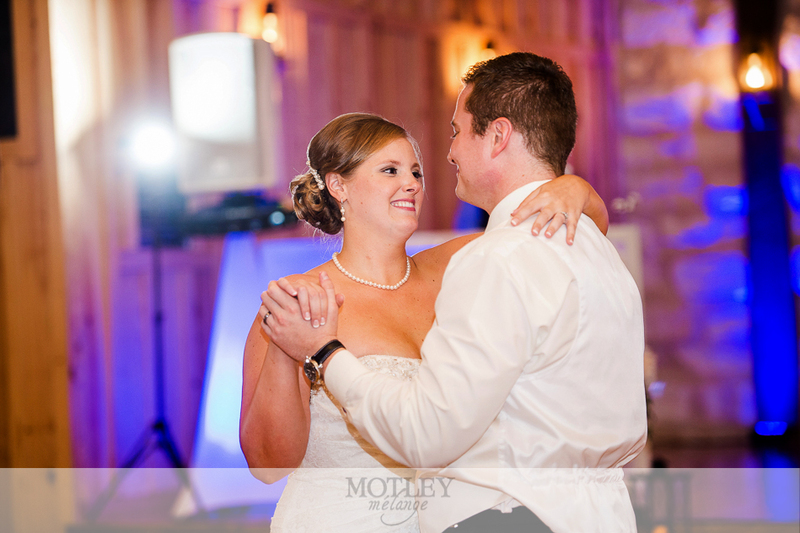 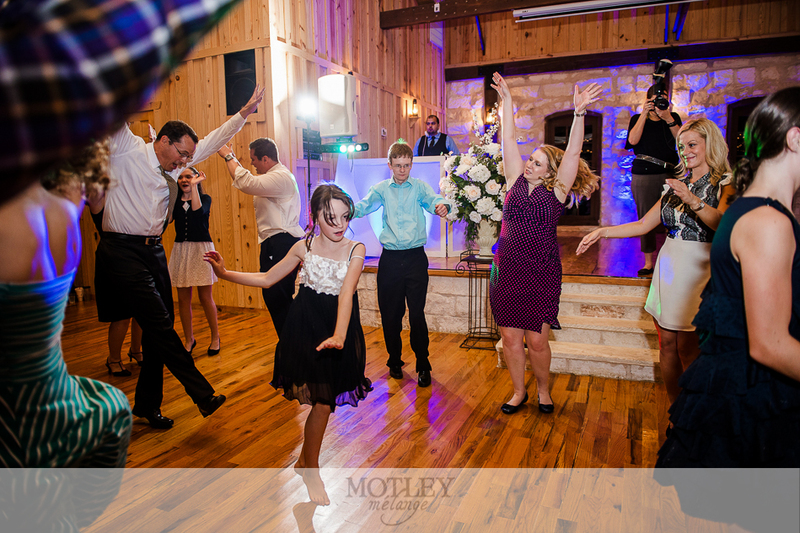 He did such a fabulous job keeping the party rockin’ all night long and providing some incredibly beautiful stage lighting! 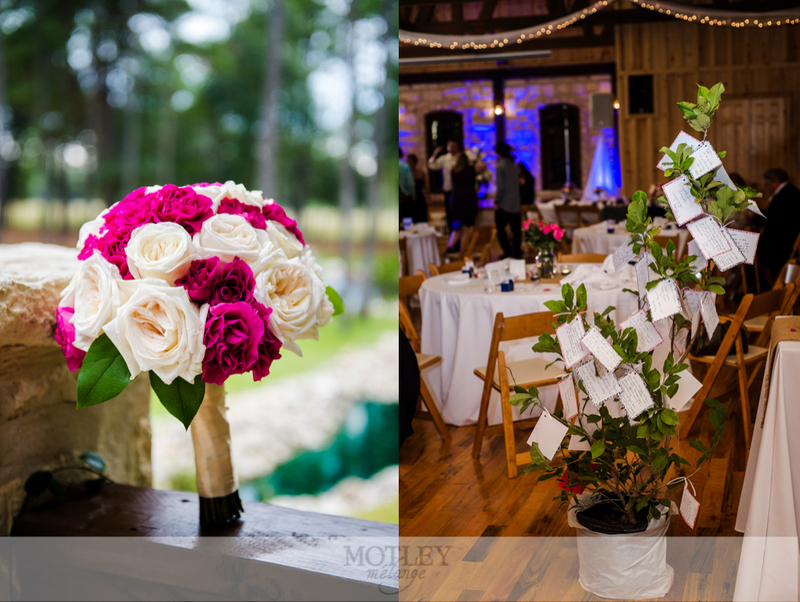 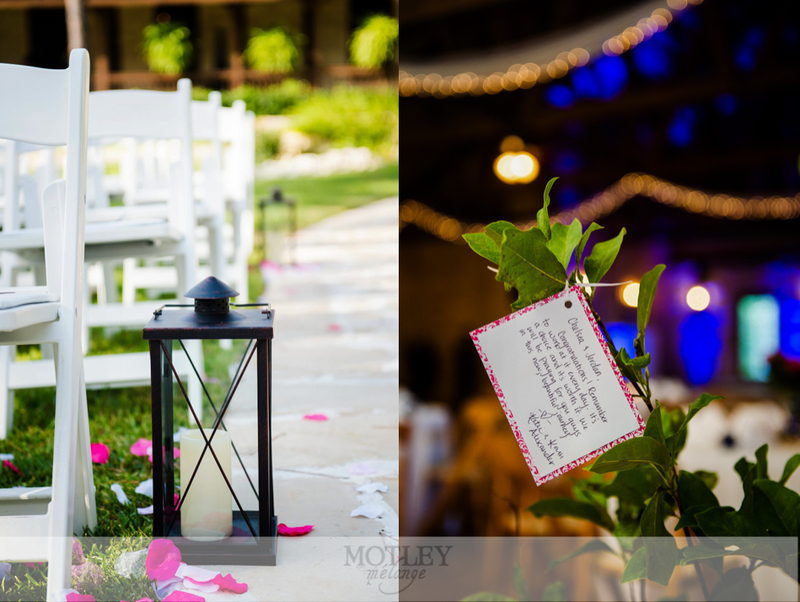 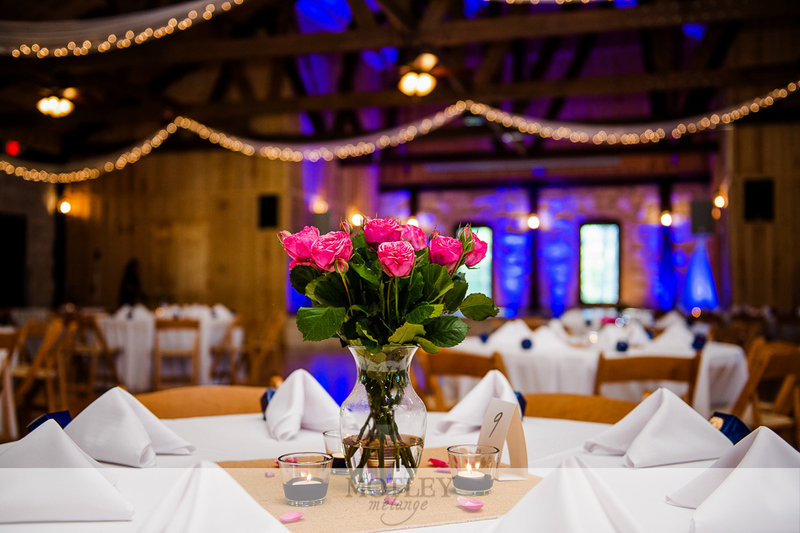 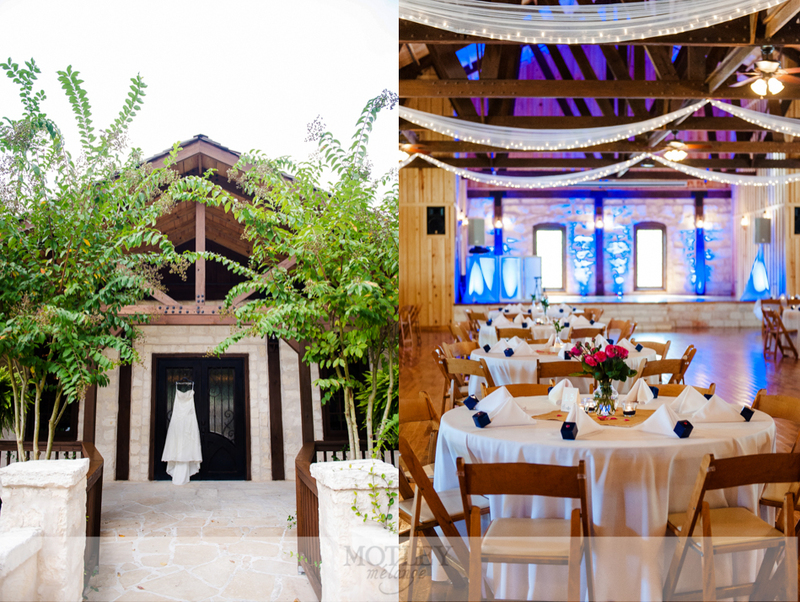 If you’ve seen some of our other posts from Crystal Springs, you can see that having uplighting at your receptions can totally transform this wooden walled venue into a posh party by washing the walls with gorgeous blues, purples and pinks! 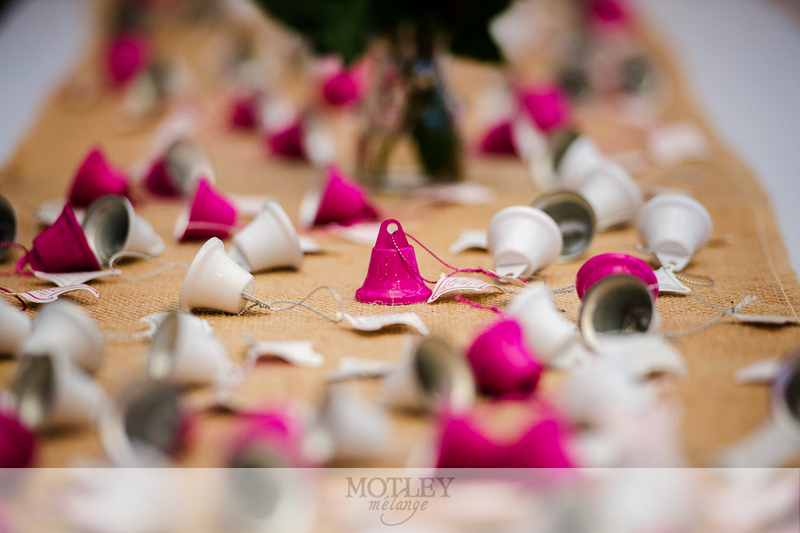 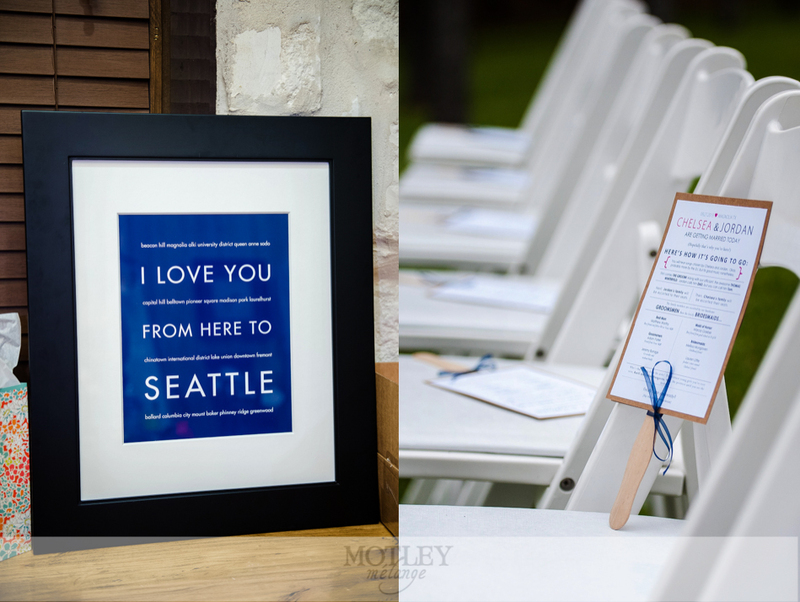 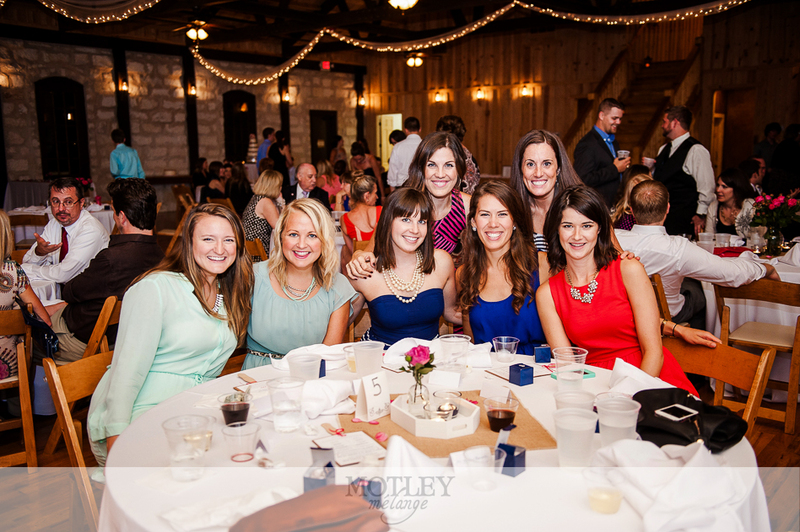 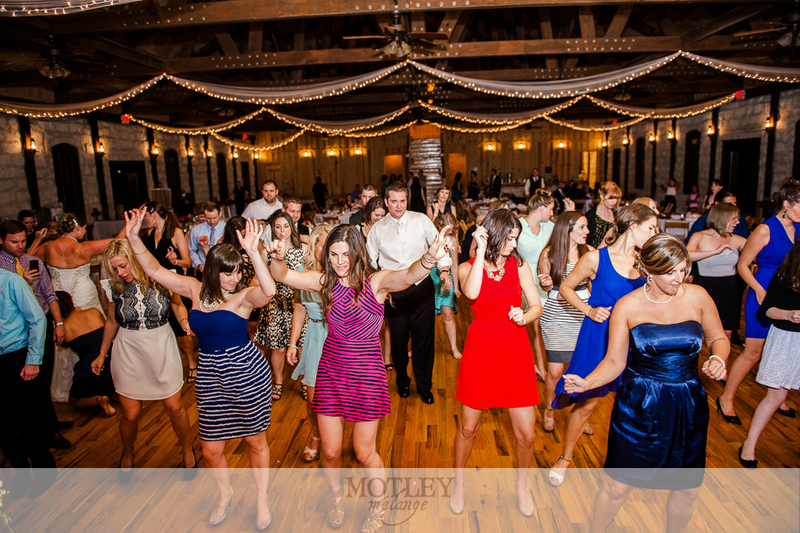 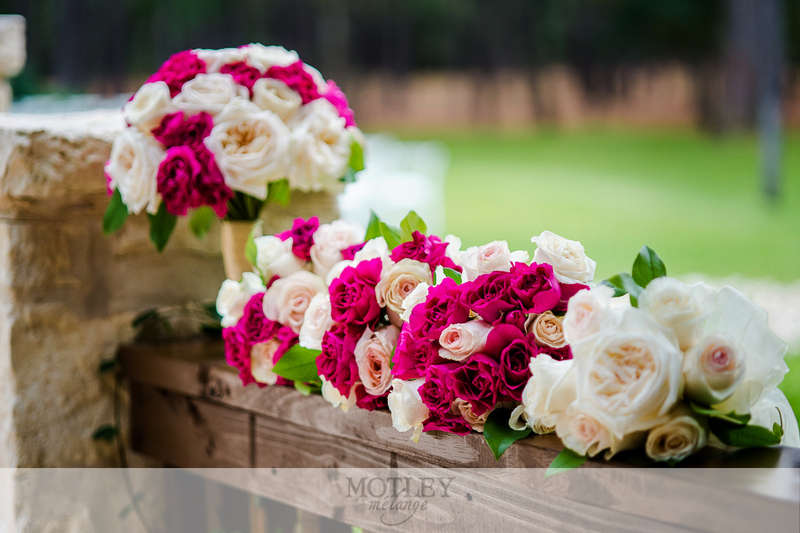 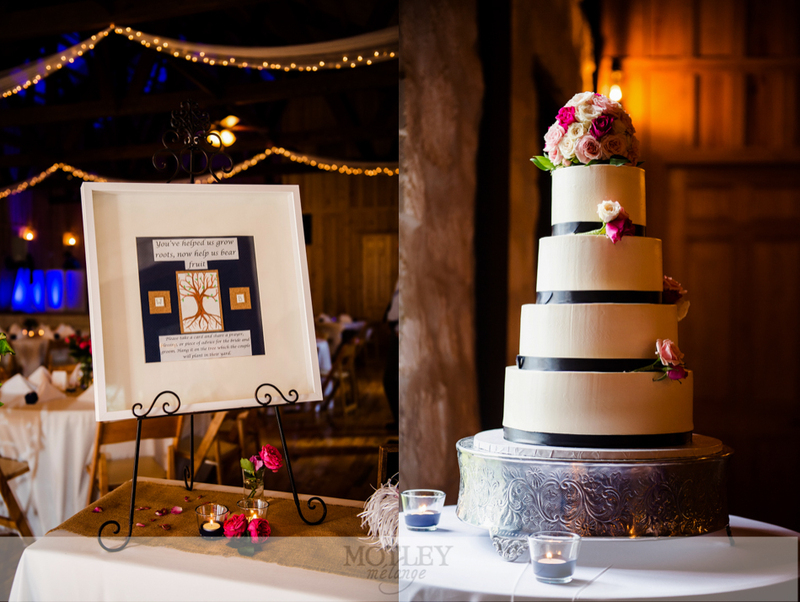 Hats off to all the other fabulous vendors involved in this wedding (links below). 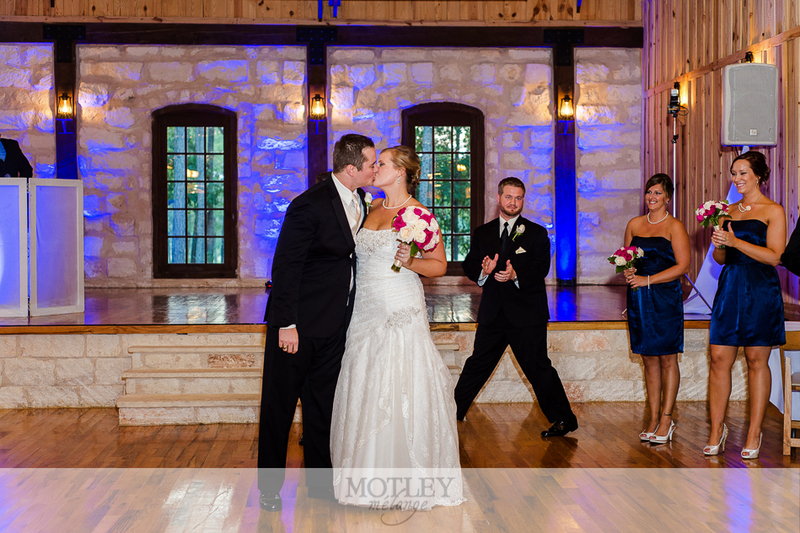 Everything was so smooth, gorgeous and an absolute slammin’ good time! 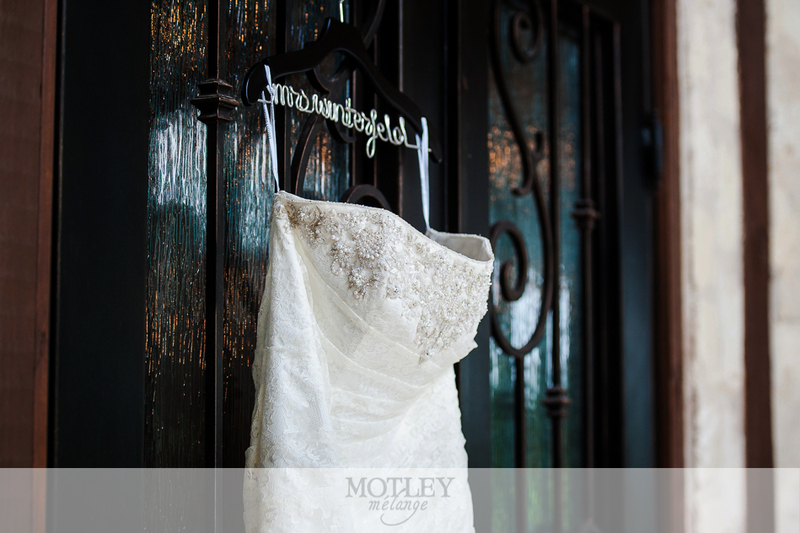 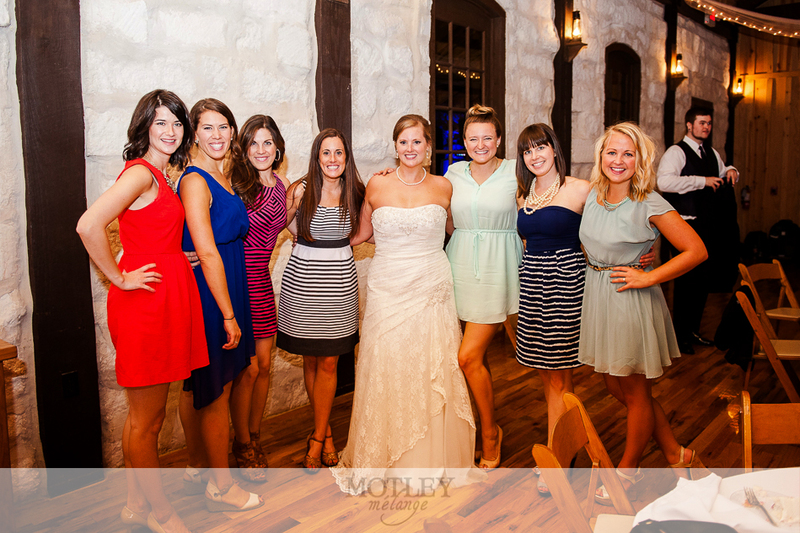 Houston Wedding Photographer centrally located in The Heights, Motley Melange specializes in photojournalistic, lifestyle photography and pairs fun, emotional and classy photos in custom designed albums, save the dates and questbooks to add an unique flair to youe wedding decor!